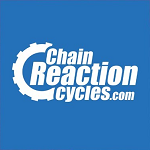 Enter online here and pay on the day. 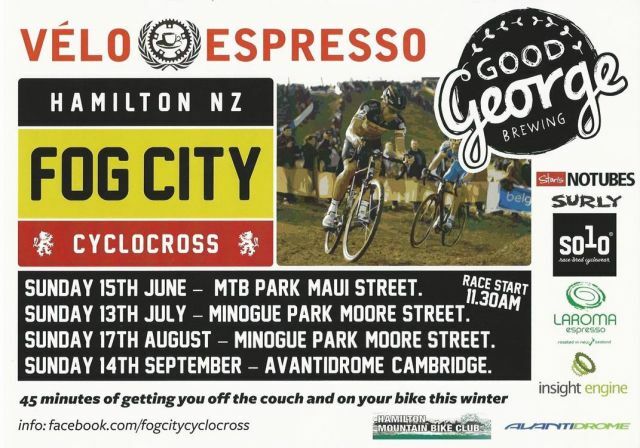 Please check the Velo espresso or Fog City Cyclocross facebook page for updates or drop into Velo Espresso in Garden Place, Hamilton for the low down. 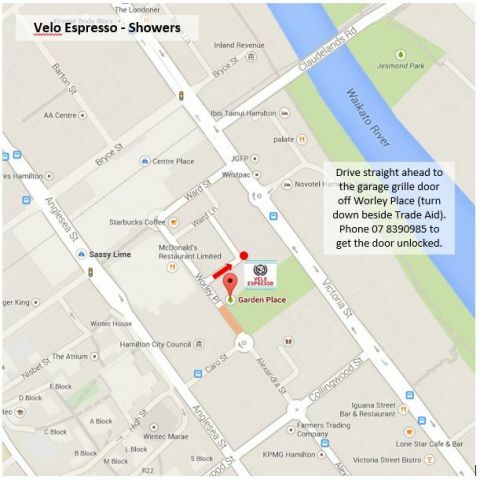 Showers are available at Velo Espresso, Garden Place, Hamilton following completion of the race (map to follow). When you arrive, call the shop on (07) 839 0985 and we'll let you into the garage for secure parking whilst you shower. Prize giving, post-race debrief, recovery drinks, myth debunking and general mayhem to be held at Good George, 32A Somerset Street, Frankton, Hamilton from 1:30pm. 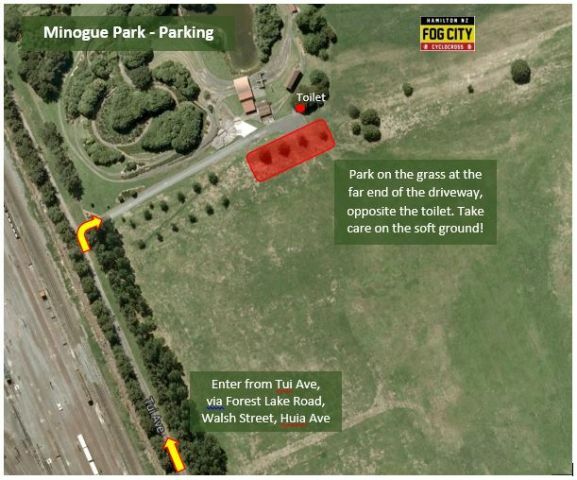 Information for Race 3 of the Velo Espresso Fog City Cyclocross, Minogue Park, 17 August 2014. Or register and pay on the day. 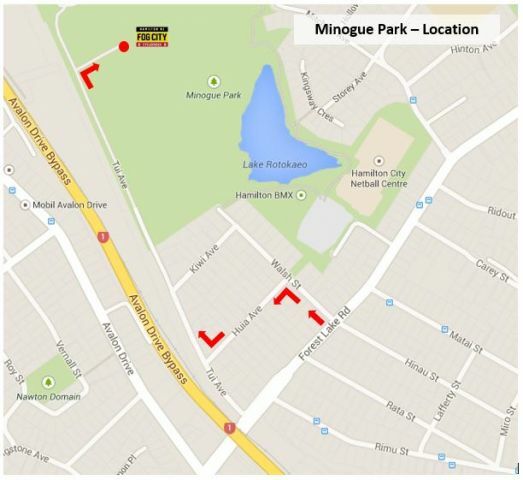 Access to Minogue Park is off Tui Ave. The southern end of Tui Ave is a one way Exit onto Forest Lake Road, so you will need to enter via Forest Lake Road, Walsh Street, Huia Ave. When you get to the driveway on Tui Ave, please drive slowly and watch for pedestrians. You can park at the far end of the driveway, opposite the toilet. Parking is on the grass, please be careful of wet and soft patches. Try to take up the least amount of space possible to leave enough parking for people visiting the Model Railway. Race HQ will be up the hill and visible from the parking area. After the race, you are welcome to drive into town to Velo Espresso for a free shower. Please bring your own towel. A map and directions for gaining access to the secure parking garage are included in this info and will be available on the day. 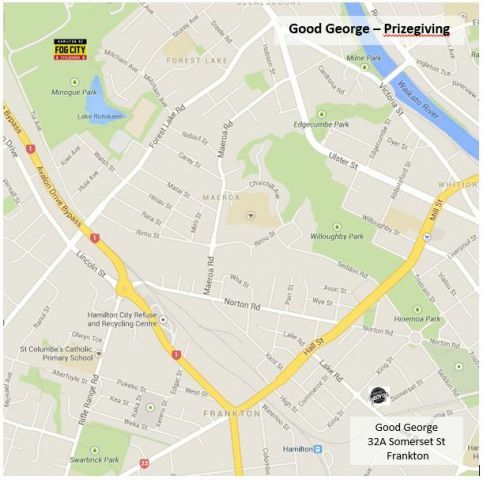 Prizegiving will be held at good George Brewery, 32A Somerset Street, Frankton, from 1:30pm. A map is also available for this. The weather is doing a fantastic job or surcharging the ground water system, so we can be assured of some good soggy chamois action on Sunday. We look forward to seeing you all there. All the best for this weekend - I have no doubt it'll be another great course. I'm sure you'll be fine by Sunday. 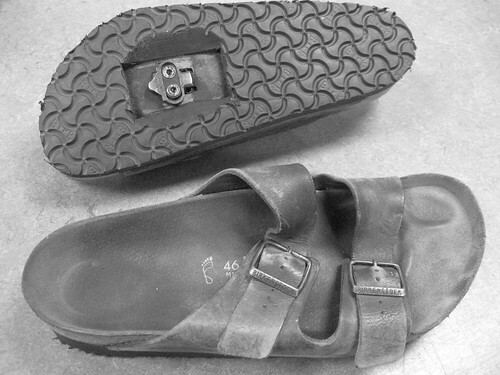 "Some days gnawing through the leather straps just doesn't seem worthwhile." Location: Transmitting to your from my backyard pump track. Rest up Danny. Would be awesome to see you there if your foot can handle the jandal and isn't so swollen you can only wear jandals. Weather is looking amazing. Might be a bit chilly, so maybe we'll even get some fog!! For Fogcity we haven't had much fog. Nah Rotorua isn't to far away. Mel wrote: How's the foot DannyB? Foots resting up nicely thanks Mel. Still won't be able to make it this time but will be thinking of you all - will be there in spirit - heckling as loudly as I can! ...and I hope you're racing this time too!